HSR Services provides a unique recycling service for building contractors. At HSR Services, we specialize in providing a full service recycling system for malls and their tenants. We manage recycling programs for some of the largest malls in North America diverting up to 400,000 kgs of plastics annually, metals and wood from your malls waste stream. Add your cardboard, paper and composting program to that and you have the best program in Metro Vancouver! Our core recycling programs consist of: electronics, plastic bags, metal/plastic coat hangers, mixed bottles, cans and jugs, wood/ metal/plastic displays, scrap wood and pallets, batteries, and light bulbs and fixtures. We ensure that your docks stay free, clean and clear so your delivery personnel don’t have to muscle through the mess that gets left on your docks by tenants or other delivery drivers. Designed with property managers in mind, HSR Services has developed a program to service each tenant’s specific need while capturing the everyday recycling for the building. Lower your overall operational cost by having HSR Services’ trained staff take care of the day-to- day recycling by servicing each tenant directly. Choose a service you would like to provide to each tenant in your building (usually lunchroom recyclables or paper recycling is a good fit). We’ll come in to do a site assessment and provide a detailed plan for your building. We will then propose a recommended schedule, number of bins per tenant, and service date. Once approved, we will put together a monthly flat rate that will cover these services*. *The service can be adjusted at any time during the contract. If a tenant moves out and that location no longer needs servicing, we will simply adjust the service and cost accordingly. HSR Services will provide you with a monthly report which will include all the material we have removed from your property. Whether it was through the property manager or from a tenant’s space, all is tracked and reported. Not only does this give you an overview of your current disposal rates, it also helps your company find out what problem areas to focus on when you’re going through Zero Waste Certification or other certification programs. Send your garbage compactor our way so we can take a look and see what is getting thrown out. This will give us the inside scoop on what else we can start including in your recycling program. In addition to our tenant to tenant services, let us buy your cardboard from your compactor. 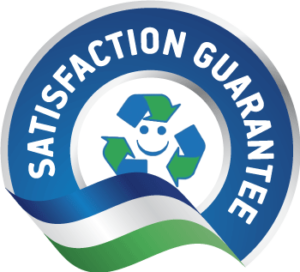 By having us manage all of your recycling, we are able to come up with new and innovative ways to handle the material. We want to reduce your garbage down to zero if we can. With over 20 years of recycling experience providing services to some of the largest corporations in Canada, you can be assured that when you start dealing with us today, we’ll still be around to service your needs tomorrow. As a LICENSED recycling facility, our warehouse is inspected regularly by Metro Vancouver. We also possess enough insurance to satisfy the highest requirements of Canada’s largest property managers, providing our customers with extra assurance when choosing HSR as their recycling service provider. We are serious about protecting your information. When using our confidential destruction service for files, media, or hard drives, we ensure that every last scrap gets shredded and that a certificate of destruction is issued for our customers’ records. Let us know how we can make your demolition and junk removal easier.